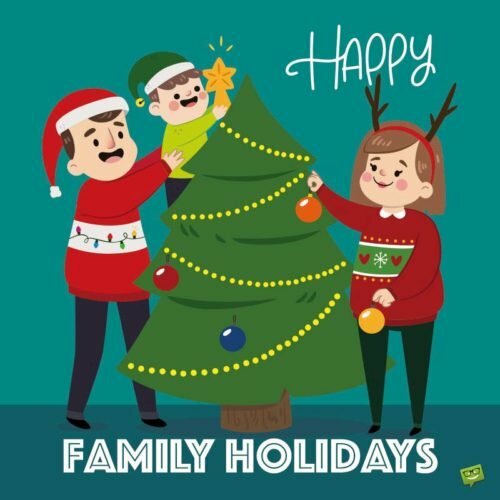 Christmas Wishes for my Family | Happy Holidays! The wonderful festive season of Christmas is upon us again, bringing with it love, peace, and joy. 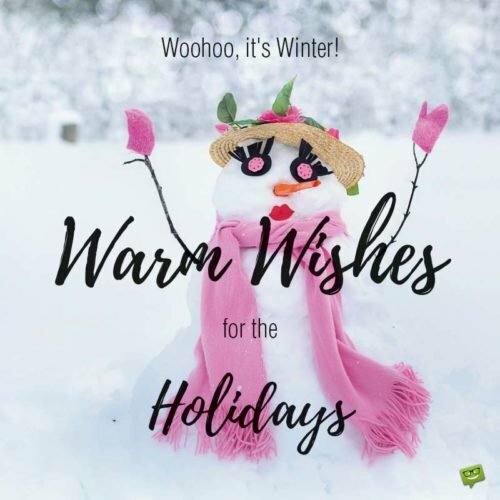 Make this Yuletide a merrier and more beautiful one for all your family members with the heartwarming Christmas wishes we have prepared for you below. May the angels of Christmas bless your hearts with everything that makes them sing joyfully. Mom and Dad, I wish you a very warm and joyful Christmas. Wishing the greatest parents on earth the happiest and most beautiful Christmas ever! Love you so much, guys. May the amazing joy and love that you lavishly gift us be given back to you in spades this Christmas. Have an absolutely blessed Christmas. 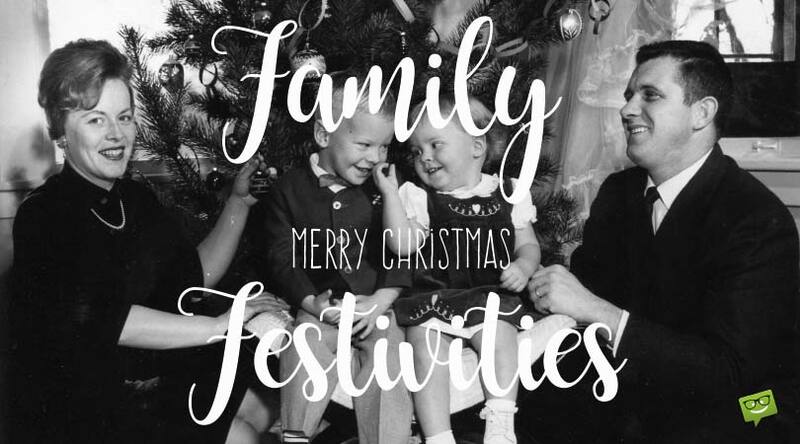 Sweet Mom and Dad, may this Christmas be the happiest you’ve ever had. Wishing a magically joyful Christmas celebration to you. May the heavens pour into your life the finest of Christmas blessings. Happy Christmas! May your lives forever shine brighter than the sun! Here’s wishing the greatest parents ever a Christmas laden with lots of love and blessings of true bliss. Love you so much. Dearest Mom and Dad, may your Christmas celebration be as awesome as you both are to me. May your days throughout the holy season be filled with joy and splendor! Happy Christmas! I wish that all the wondrous blessings that come with Christmas will find their way to your home. Have the most fabulous Yuletide fest! 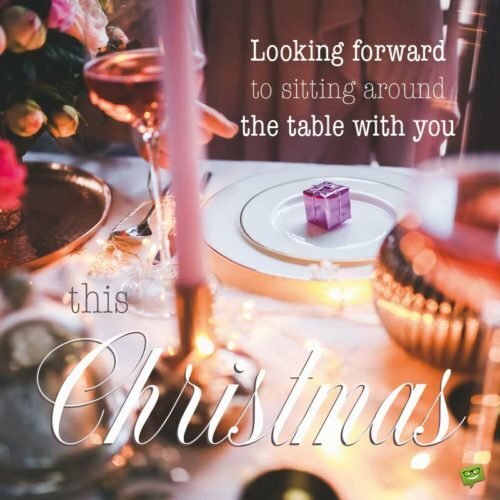 Looking forward to sitting around the table with you this Christmas. Mom, for your Christmas, I wish you all the joy, peace, love and happiness in heaven. Mom, your presence in my world is a gift so precious it can never be bought. This wonderful Yuletide, I pray for your health, happiness and prosperity. You deserve these and many more wonderful blessings. Merry Christmas. May your Christmas be blessed with the joys of heaven. I love you. Mom, it is my wish that every moment of this joyful holiday season will decorate your face with wide, beautiful smiles and cause your cheeks to explode with laughter! May God’s love and blessings find you this Christmas and in the coming New Year. Merry Christmas. Mom, I love and treasure you so, so, so much. May you always drink from the fountain of happiness. Merry Christmas. Christmases come only once every year, but a phenomenal mother like you is a priceless treasure that comes once in a lifetime. Happy Christmas, Mom. Merry Christmas to the most awesome Mother in the universe! May all the amazing joys, delights, love, hope, peace and happiness this wonderful season is laden with make a path to the door of your heart. Wishing you an amazing Christmas loaded with life’s most important gifts: love, true friends, good health, and most importantly, true joy. I hope you find true happiness this Christmas. Happy Christmas! May God make your heart very, very happy this Christmas. Merry Christmas, Dad! May you have a truly joyful Christmas and a prosperous New Year because you are an amazing father. I love you so much. Dad, may true happiness be your special Christmas gift from the heavens. Merry Christmas. Merry Christmas! May every flake of snow that falls within your boundaries result in tremendous blessings in your life! 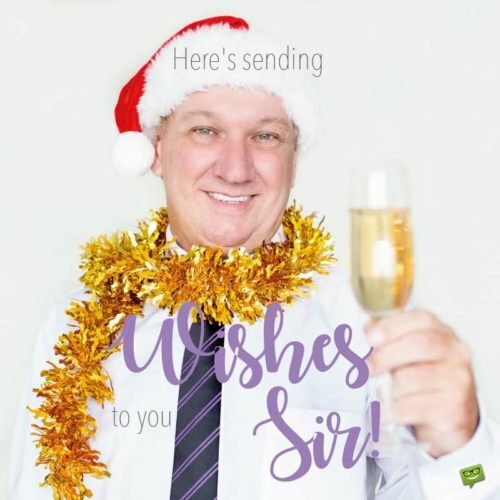 Here’s to wish you a fabulous Christmas season. May each day of the season bring into your wonderful life a zillion blessings! It is my wish that this beautiful season of the year will touch your heart with special joy. Merry Christmas. On wishing you the happiest of Yuletides, I pray that your beautiful heart will leap in glee at the sound of every Christmas bell. Dad, it’s my hope and prayer that every aspiration of yours that brings you happiness will manifest during this season of blessings! Wishing you endless happiness this Christmas! Merry Christmas to my sweet Grandma. May love and happiness never stop encircling your life. Grandmother, may God make your Christmas as joyful as His wonderful kingdom up in heaven. Happy Christmas. May your Yuletide be as beautiful as your smile, Grandma. Merry Christmas. My sweet grandma, even if I don’t make it to your home this season, I love you deeply. Think of me when you see your Christmas tree, and may your days be merry! Sweet Grandma, it is my deepest wish that your portion this Christmas season will be a life of complete love, great fortunes and remarkable accomplishments. May the sweet spirits of this holy season combine forces to bless you with the finest treasures of heaven and make your life as awesome as the rainbow! I wish you the loveliest of Yuletide occasions, my dearest Granny! May your heart forever soar on the wings of true happiness and bliss! May every minute of this Christmas bring you a million reasons to be happy! I wish you the most wonderful of Christmas holidays! Grandma, may your joy be a million times larger than the sky during this glorious season! Merry Christmas. For making me the luckiest grandson/granddaughter in the whole world, you deserve the merriest of merry Christmases! I love you so much, Grandpa. May all the joy that exists in this wonderful festive season find their way into your big heart. Happy Christmas. Christmas is the time to be reminded of the fact that this family has been more than blessed to have you in it. May God bless you with all the things that your heart of gold longs for. Merry Christmas. May happiness, laughter, and blessings find you on this Christmas day and be with you all your days. Merry Christmas. Grandpa, have yourself an extraordinarily joyful Christmas filled with lots of blessings. May this Christmas bring to your sweet heart all the love and joy in the universe. Granddad, I wish you a fantabulous Christmas festivity. May it pack into your abode all that you desire to make your life as remarkably beautiful as the Garden of Eden! May the spirit of Christmas touch your life and make it as magnificent as the sun. The merriest of Yuletide celebrations to you, my amazing Grandpa! I wish you the best of the best Christmas celebrations! May it usher in a fantastic and prosperous year ahead! Granddad, may this Christmas fill your heart with a double portion of all that brings serenity and contentment! I wish you an unforgettable Yuletide season!